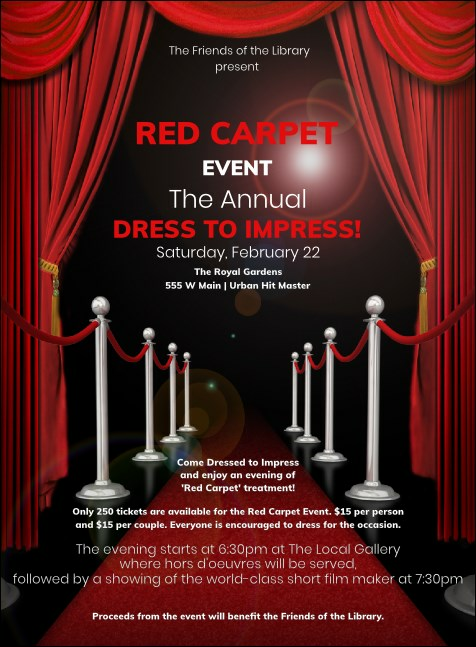 Remind your guests to book their limousines and ready their designer garb in advance when you print Red Carpet Invitations and send them out for your event. Black tie or white, these Invitations will have your guests dressed to the nines with room for eighteen lines of unique text to list all the important details. TicketPrinting.com templates and designs help you look your best.